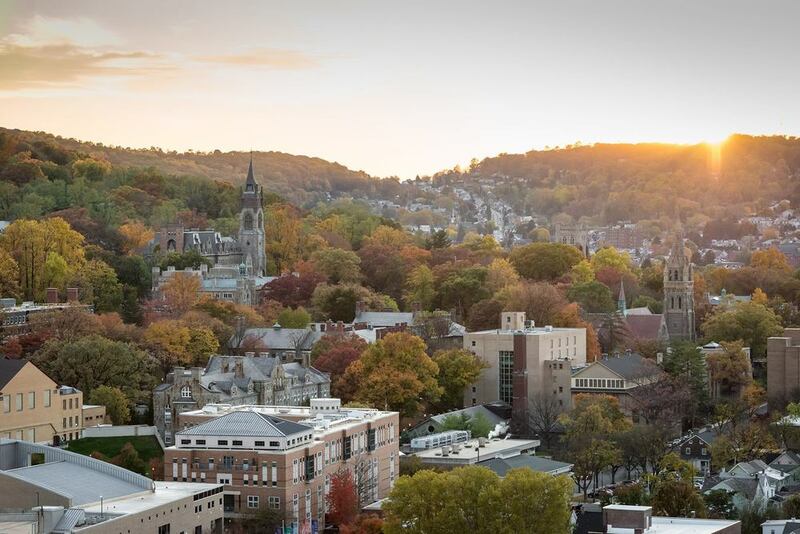 Lehigh University, located on a beautiful wooded campus in Bethlehem, Pennsylvania, is home to approximately 7,000 students. Spanning across 2,300 acres, it's one of the largest private campuses in the States. Much of student life is centered on campus and Greek life is huge. The university is an easy drive from either New York or Philadelphia. Stay: The Sayre Mansion is a beautiful B&B in the heart of Bethlehem. If you are looking for a full service, large hotel check into The Bethlehem Hotel or the Sands Casino. Coffee: Loaded with charm, Deja Brew is filled with students and faculty. You’ll get a good feel for the Lehigh energy while sipping your morning coffee. Breakfast: Go to Alexandra’s Bistro for a classic diner experience. There’s nothing formal here, just good food and wonderful service. If you love having eggs for breakfast, head to The Flying Egg (they also have a great tofu scramble.) Right on campus, Johnny’s Bagels opens at 7AM. In addition to their excellent bagels they also make specialty omelets. For fresh orange juice, Greek style iced coffee and a delicious breakfast, go to Billy’s Diner. Lunch: The People’s Kitchen is an excellent café serving favorites like mac and cheese, shrimp and grits and cheese steak sandwiches. You should definitely try the Salmon and Avocado Bowl at Playa Bowls. Check out the great offerings on campus at the University Center. You will find great subs and soups at Goosemen. Casual: For great brick oven pies head to The Brick or Sal’s Brick Oven Pizza. Step back into the Prohibition era at The Bookstore Speakeasy. Serving American cuisine with an extensive beer selection along with live jazz on select evenings, this is a great choice for dinner. With indoor and outdoor seating, head to Apollo Grill. Make a reservation ahead of time, as this is a popular destination. A Step Up: Restaurateur, television personality and chef, Emeril Lagasse has two restaurants in Bethlehem – one of them are more upscale is - Emeril’s Chop House. As the names suggest, Emeril’s Chop House serves up classic steak dinners. Voted “Best Dining” in Bethlehem, Edge delivers an excellent dining experience with Asian and French influences. With bubbling fondue pots filled with delicious menu selections, The Melting Pot will have something for everybody. Set in a former stagecoach, Bolete is where many students take their parents for an upscale farm to table meal. A parent recently recommended trying the Blue Grillhouse. Local Attractions: Bethlehem Steel Stacks is a great place to see a concert or show. Check their event schedule before visiting. If you want to extend your stay, head to Hershey Park, about an hour and a half away. *** For more info on where to eat, check out Lehigh's list here. Just toured the Lehigh University Campus? 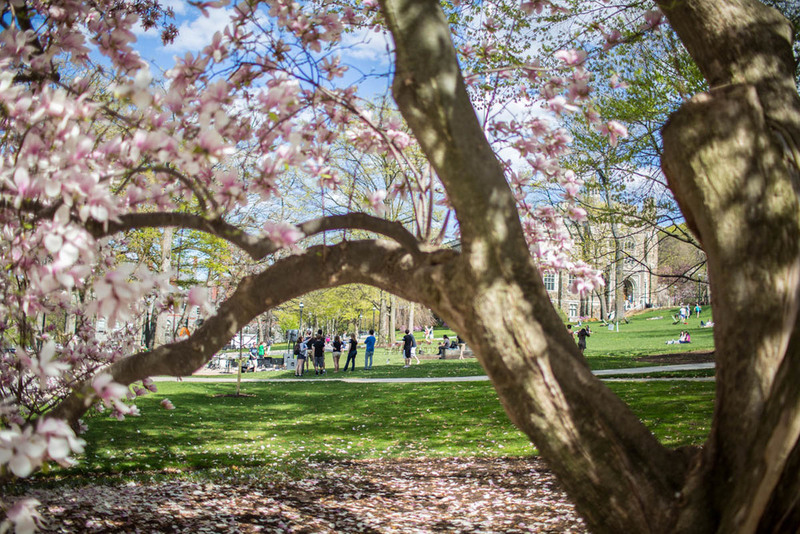 Are you a Lehigh University student, parent or Alumni? Fill out this 2 minute survey to supplement our Daytripper University Guide for Lehigh University!